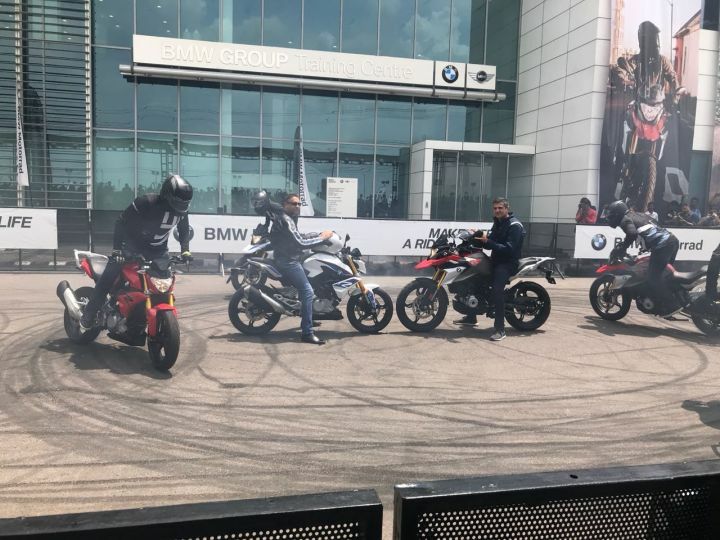 After a near two year delay, BMW Motorrad has finally launched the BMW G 310 R and G 310 GS in India. The G 310 R is priced at Rs 2.99 lakh and rivals the KTM 390 Duke (Rs 2.4 lakh), Bajaj Dominar 400 - ABS (Rs 1.62 lakh), the Mahindra Mojo XT 300 (Rs 1.63 lakh) and the Benelli TNT 300 (Rs 3.29 lakh). On the other hand, the G 310 GS adventure tourer is priced at Rs 3.49 lakh and competes against the Royal Enfield Himalayan (Rs 1.68 lakh) and the more expensive Kawasaki Versys-X 300 (Rs 4.69 lakhs). The BMW G 310 R and the G 310 GS are powered by the same 313cc, single-cylinder, DOHC, liquid-cooled motor that produces 34PS at 9500rpm and 28Nm at 7500rpm. Power is transferred to the rear wheel via a 6-speed gearbox. Both the G 310 R and the G 310 GS get 41mm inverted front forks and a rear monoshock. However, the front suspension travel on the GS is 180mm, which is 40mm more than that of the G 310 R. It’s the same story at the rear as well since the G 310 GS’ rear monoshock gets 180mm of travel, which is 49mm more than the BMW G 310 R. Both motorcycles share the same braking components too - a 300mm front disc and a 240mm rear disc brake equipped with dual-channel ABS as standard. BMW Motorrad dealers across the country have already commenced bookings for both motorcycles for a token amount of Rs 50,000. The launch price of both is inclusive of three-year unlimited kilometre warranty, which can be further extended up to 5 years. there is road-side assistance available as well. Apart from this, BMW Motorrad is also offering factory finance EMI scheme of Rs 6,999 of the G 310 R and Rs 7,999 on the G 310 GS. Note: All prices mentioned above are Ex-showroom, Delhi.